What made Lantau farmers of centuries ago adopt farming practices that were largely harmonious with the local eco-system? The answer might appear simple: their level of technology was so low that they had to stick to simple techniques. But there are many examples of great civilizations falling because their farming methods did not suit their ecological environment, so the level of technology cannot be the answer in this case. 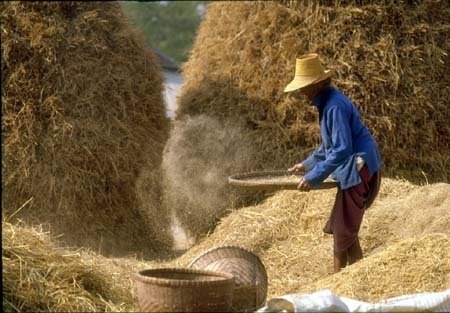 A better explanation can be found from research done by Armando da Silva in the 1960s on how traditional farmers lived off the limited productivity of the Lantau soil. It is quite amazing to see that their practices followed certain important ecological principles even though they did not possess any knowledge of ecology. By using compost and ash pits, the farmers were able to successfully recycle matter and nutrients which had originated largely from the land. Without this practice the eco-cycle would have been blocked, with some areas of land drained of all nutrients and others suffocated by faeces and garbage. Da Silva does not provide an explanation as to why these practices were employed, but it is possible to guess at some of the reasons. First, farmers seeking long-term survival, in terms of productive land they could hand over to their descendants, would have had to find a way of maintaining the bio-productivity of their soil. The clan-centred extended family system prevailing in past centuries would have made them think even harder on this. 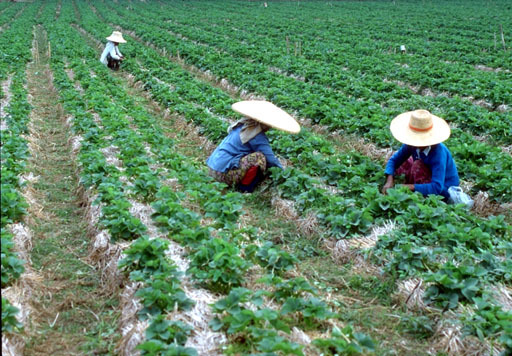 Second, immigrants coming from China brought along Chinese farming practices which provided a solution to the problem of soil conservation. This in turn had roots in the ancient Chinese version of ecological philosophy, Taoism, which must have had some influence on farmers’ thinking and way of living (Taoism’s influence on Chinese art and literature has been described in detail by numerous scholars). The compost and ash pits may have been the materialization of the ”principle of cycling” advocated in Tao Te Ching by Lao Tzu. Today, however, modern farmers on Lantau are responding to the problem of soil revitalization by resorting to chemical and artificial fertilizers. These high-tech solutions offer a cheaper and easier alternative, and farmers feel they can make more money. But there are drawbacks: as the chemical composition of these fertilizers is not balanced, being over-concentrated in some substances and depleted in others, their long-term exclusive use changes the soil texture drastically and ends up destroying the land. This move away from traditional farming to modern fertilizers is the result of cultural and economic changes in our society. Culturally, people are abandoning the principles of Taoism and traditional Chinese culture, while economically the guiding principle is to make money, not to preserve land for future generations. If this continues and there is a lack of encouragement or even punishment to ensure eco-friendly practices in our society, it is very hard to see how the present ecologically-hostile farming practices can be changed by the efforts of environmentalists alone. Modern industrialized society may fall like other civilizations before it, simply because people are not using high-tech wisely to recycle their waste.